The suspect arrested for a string of home break-ins around the Boston area was charged with one offense in Watertown, but Police Chief Michael Lawn said he expects the suspect to be charged in connection with more of the recent burglaries. The most recent string of break-ins in Watertown took place on Feb. 1, 2019, but dozens of break-ins have occurred in town. During three of the most recent burglaries, residents were there when their homes were broken into. On Monday, Middlesex District Attorney Marian Ryan’s office announced that Boston’s Jargle Soto-Suazo, 33 was arrested on Feb. 7 after breaking into a home in Brookline. He is charged with 19 break-ins including one in Watertown. Others took place in Medford, Brookline, Quincy and Arlington. 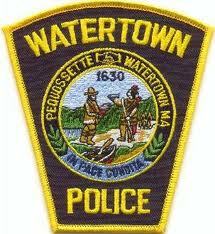 Watertown Police took care when investigating each of the local burglaries.